A system that empowers, you my clients, to unravel the myths and mysteries of the timber world and mitigate the risks with regard to choosing the right timber. Our consultative approach is about developing the right solution for you, it’s not about just selling you some planks. 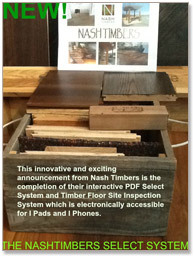 Nash Timbers specialises in giving all our clients personalised service. We ensure that we walk our clients through the selection process, so that they gain sufficient knowledge to make an educated decision. lines if you are looking for timber that is “extraordinary”.